The Victorian Government is investing an additional $3.6 million to the Streamlining for Growth Program through the Victorian Budget. The total budget for the program is now $24 million over four years. The additional funding will primarily be allocated to projects that speed the delivery of land supply in Melbourne’s fast-growing outer suburbs. Specifically, the additional funds will be used to fast-track utilities approvals, build capacity of growth-area councils and increase certainty in the subdivisions process. 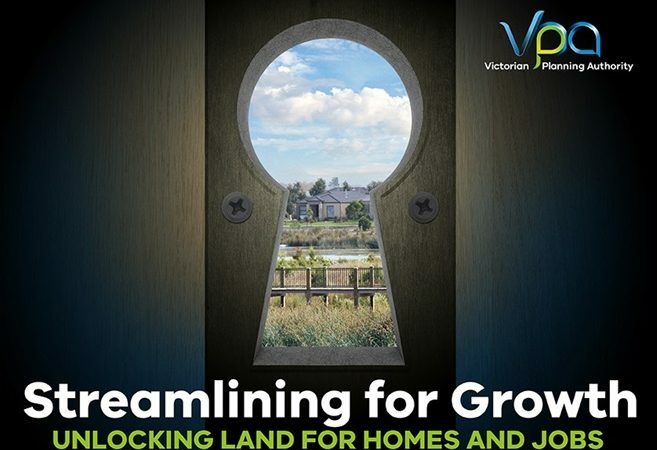 The program was first created in 2016/17 by the Victorian Planning Authority (VPA) to provide assistance to councils for planning projects that will result in new housing, jobs and infrastructure. The program has funded a diverse range of innovative planning projects across Victoria – including in established Melbourne suburbs and Victoria’s regions – which are delivering great outcomes. For example, Cardinia Shire Council used their grant money to fund the private sector to undertake engineering assessments, cutting approval times for engineering plans by 10 days. And by investing in new technology, Wyndham City Council was able to provide real-time feedback to developers on draft planning applications, allowing industry to get on with the job of building new houses in a timely fashion. Applications for the 2018/19 year of the program are open now, with councils invited to apply for a grant or VPA staff assistance until 7 June 2018.